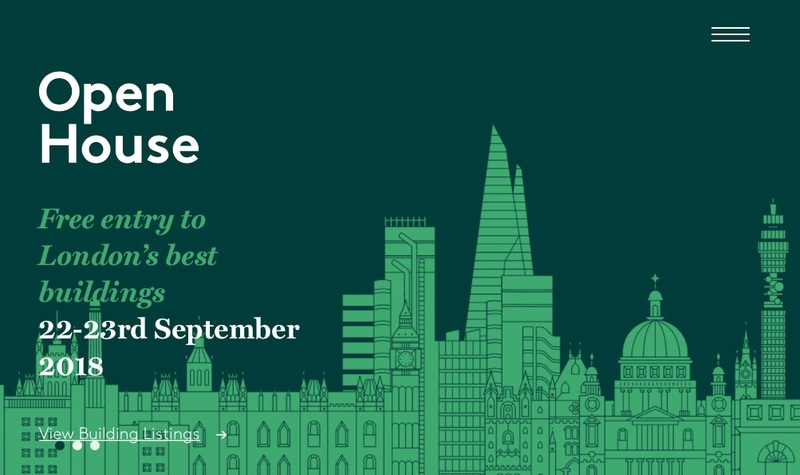 With September just around the corner, we’ve been turning our thoughts to Open House weekend on 22nd-23rd. It’s when hundreds of fabulous buildings in London open their doors to the public for free. There’s loads to delight lovers of architecture and the decorative arts. We’ve been rooting through the schedule for more Dotmaker-ish destinations. Here are our top picks. Love tunnels? Get in quick to book a tour of the Underground Bunker at Neasden that was used by Churchill’s War Cabinet. Fascinated (like us!) by all things sewerage? Hurry and book a place to visit Bazalgette’s Victorian cathedral to sewage at Abbey Mills Pumping Station, or Deephams Sewage Works in Edmonton – the fourth largest in London. To see where some of the most significant power disputes are resolved, head for the UK Supreme Court in Parliament Square. Seeking spaces for quiet reflection? You’ll find lots of churches, temples, meeting houses and other places of worship open over the weekend. St Botolph Aldgate will be putting on a demonstration of bell-ringing on Saturday. To see how London processes its rubbish, head to SELCHP (South East London Combined Heat & Power Energy Recovery Facility) by Millwall football stadium, or Southwark Integrated Waste Management Facility off the Old Kent Road. For more on the project to use heat from underground tunnels to heat homes in Islington (mentioned in our July blog), head to Bunhill Heat and Power Energy Centre.